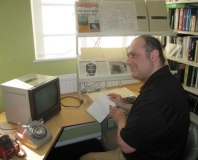 The National Museum of Computing at Bletchley Park is today celebrating the 70th anniversary of Colossus, widely regarded as the first programmable electronic computer in the world, with veterans who worked on the system attending a special event demonstrating its capabilities. Developed by Tommy Flowers to replace the unreliable mechanical machines that had previously been used to attack signals encoded with the German Lorenz cipher, Colossus is a legend of wartime ingenuity. Using his knowledge from a day job as an electronics engineer for the General Post Office (GPO), Flowers built an electronic machine based on vacuum-tube technology which could find the start-wheel positions of a Lorenz machine in mere hours - an exponential improvement on the mechanical Robinson machines. Activated on the 5th of February 1944, the Colossus - in its original incarnation and improved Mark II variants, the latter of which was launched by Flowers just four months later - was instrumental in the code-breaking efforts which took place at Bletchley Park during the war. It is credited with the decoding of over 63 million characters of German communications traffic, including critical tactical information such as the Germans having bought the diversion which would allow the D-Day landings to take place. Sadly, as with much of the work that took place at Bletchley Park, the Colossus was top secret. Once its work was complete, all known Colossus systems were destroyed and their existence held as a highly-classified secret. 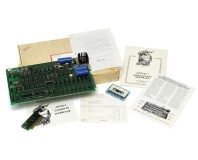 Thankfully, a few engineers had ignored their orders and held on to photographs and circuit diagrams - leading to a project, led by The National Museum of Computing co-founder Tony Sale, to rebuild Colossus. That work was completed in 1997 with a grand unveiling at the Museum, where the rebuilt Colossus Mark II can be seen today in fully-operational form. Now, 70 years after the first Colossus was switched on, the Museum is celebrating Flowers' ingenuity with a special event for the veterans who worked on the machines, which would command a full-time staff of 550 at their peak. 'The achievements of those who worked at Bletchley Park are humbling. Bill Tutte's ingenuity in deducing out how the Lorenz machine worked without ever having seen it, the skill of those in the Testery who broke the cipher by hand, and Tommy Flowers' design of the world's first electronic computer Colossus to speed up the code-breaking process are feats almost beyond comprehension,' Museum chair Tim Reynolds explained. 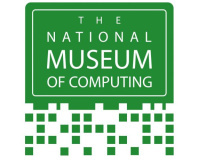 'The working Colossus rebuilt by the late Tony Sale and his team provides a mesmerising start to our story of the history of computing at The National Museum of Computing. It fascinates people of all ages and we see on a daily basis the inspiration that it provides to school groups who visit the Museum. Details of how to see Colossus for yourself, today or on any other day, are available on the TNMOC website. Could claim $100,000 as a result.